Great Lakes PGPM Admissions 2018-19 are done in two cycles, first in the month of November and second in the month of January. The application process for Great Lakes PGPM Admissions for cycle 1 will close on 30 November 2017. 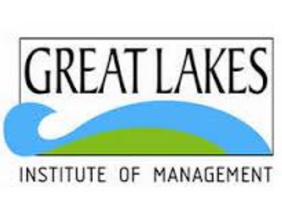 Great Lakes Institute of Management offers one year MBA program to the students. The Post-Graduate Program in Management uniquely designed to deliver customer-centricity, meritocracy and corporate ethics in one year. This PGPM program is only for students with minimum 24 months of work experience as on 31 March 2018. Candidates should have a Bachelor’s degree in any discipline from a recognized institution and a minimum work experience of two years by 31 March 2017. The application form for Great Lakes PGPM Admissions can be filled through online mode. Application forms are also available at Great Lakes, Chennai. Interested candidates can click on the following link to fill the application of Great Lakes PGPM Admission 2017. Candidates have the option of either applying to Great Lakes, Chennai and Great Lakes, Gurgaon campuses separately or for both the campuses through the common application form by selecting the appropriate option in the registration form. Candidates who are fulfilling the eligibility criteria can apply for admission in PGPM program of Great Lakes Institute of Management. STEP 1: Registration: The candidates have to fill the registration form before filling the application form. STEP 2: User Id & Password: After successful registration, candidates will receive an email with the link, username and password for the application form. STEP 4: Application Form: After logging in, click on the edit button on the top corner to fill the application form. Candidates are advised to take the printout of filled application form for future reference. The application form of Great Lakes PGPM program can be submitted through online mode only. Candidates should check the filled details in the application form before final submission. In the case of false information provided by the candidate, the admission will be cancelled. Candidates are also advised to use Internet Explorer (version 10 to 11), Mozilla Firefox (version 48 to 54) or Google Chrome (50 to 59) to fill & submit the Application Form. The application fee of Great Lakes PGPM program can be paid through both online & offline mode. Online candidates can pay the application through Net Banking/Credit Card/ Debit Card. The fee can also be paid by cash at the authorized payment centre. Academic Abilities: Those candidates who have the consistent academic background and a demonstrated ability to sustain pressure will get shortlisted. Standardized Test Scores: Candidates who are inconsistent between colleges and universities at the Undergraduate level Great Lakes considers GMAT or CAT or XAT or CMAT scores in the overall assessment. Leadership and Interpersonal Skills: Candidates who have exhibited leadership skills at work and/or in school/college will help them to get selected.